Enjoy the tradition of the Great American Country Ham during your next visit to the "Cradle of the Republic"! 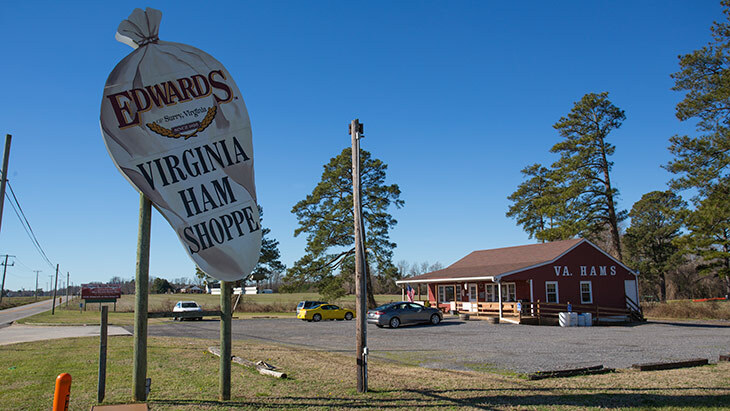 Located just outside the Premium Outlets and a few miles from Colonial Williamsburg, The Edwards Ham Shop of Williamsburg is a welcoming visit for both traveling ham lovers or hungry locals looking for a delicious BLT. Browse through our selection of country hams, bacon, sausages and assortment of Virginia speciality food products from jams and jellies to salted peanuts. Be sure to grab an old fashioned ham sandwich on your way out! Venture out to the Virginia countryside of Surry County, our original hometown since 1926. The Edwards Ham Shop of Surry is perfect for those looking for an authentic experience of the American South. Grab a seat on the porch, enjoy a country ham and pimento cheese sandwich, and take in the peacefulness of rural Surry. 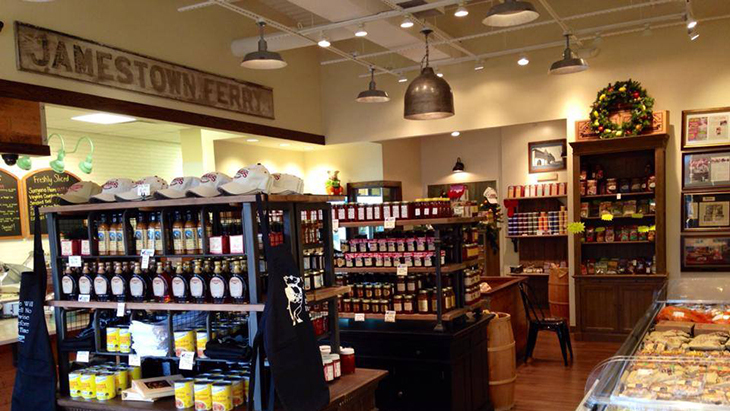 We also have a wide selection of Virginia specialty goods that are perfect gifts for the southern foodie in your life!